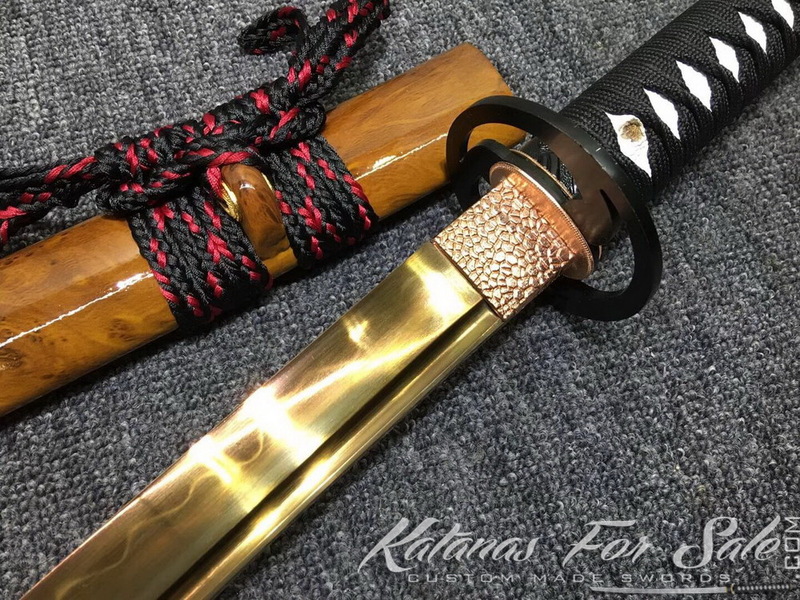 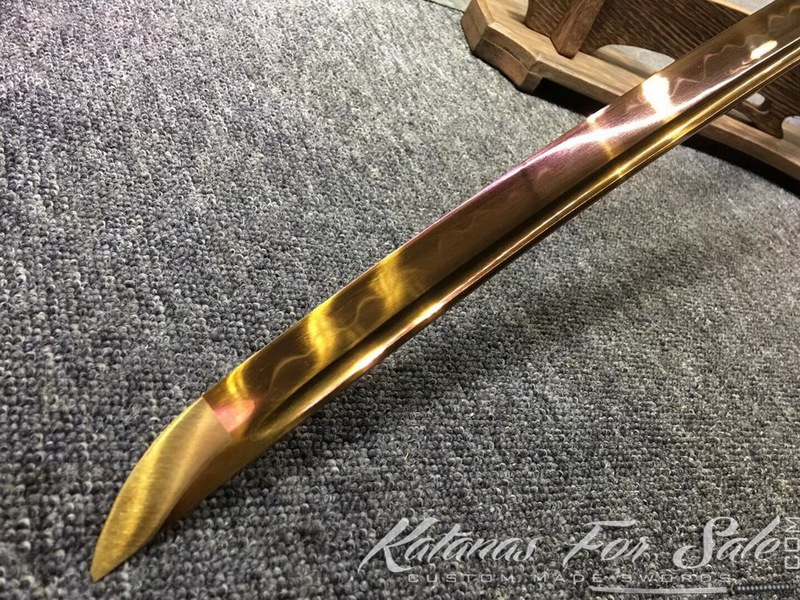 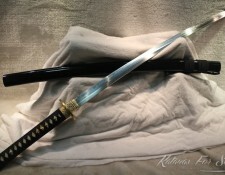 This is a T10 Clay tempered Katana with wavy hamon, The blade has been dyed with gold acid dye. 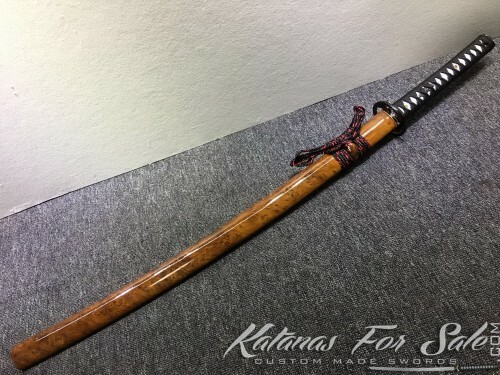 the sword features elegant brown marble Saya. 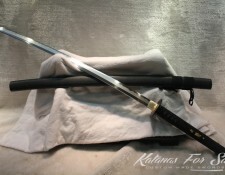 The handle is black rayon silk with white rayskin samegawa. 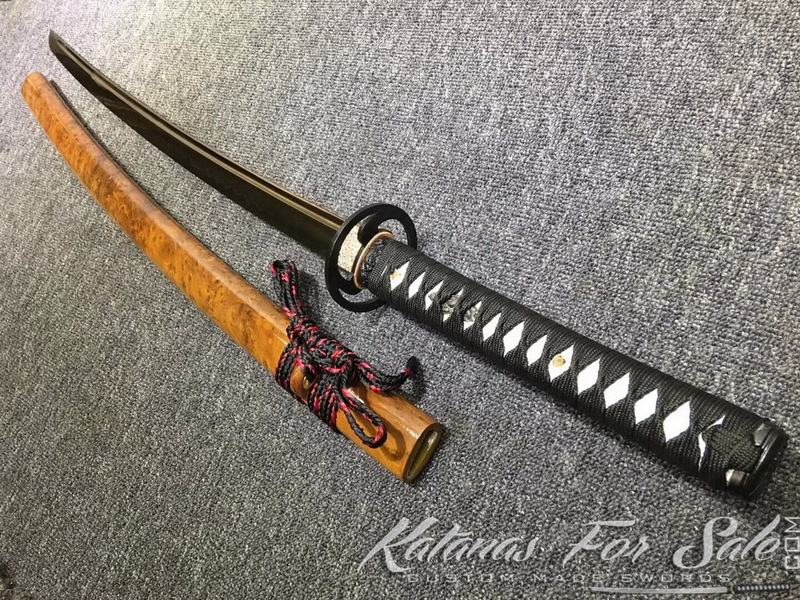 Categories: Clay Tempered Steel, T10 Tool Steel, Katanas For Sale. 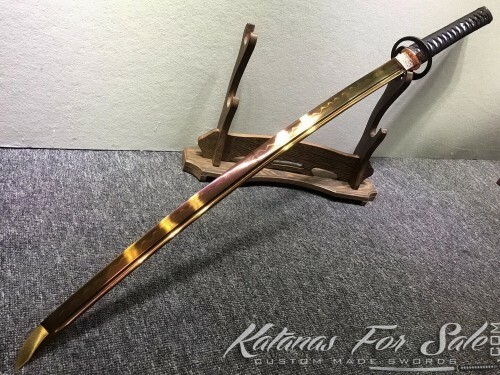 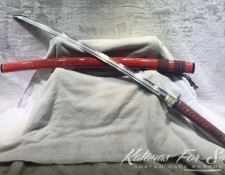 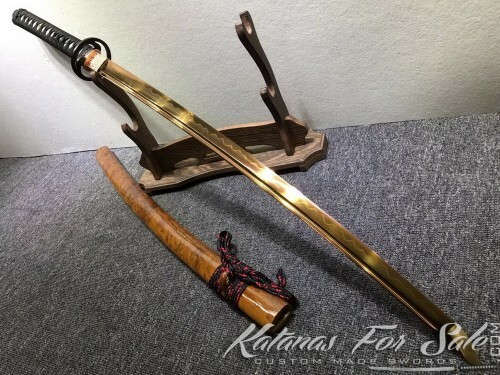 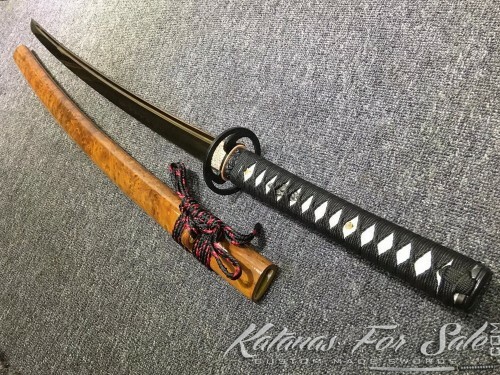 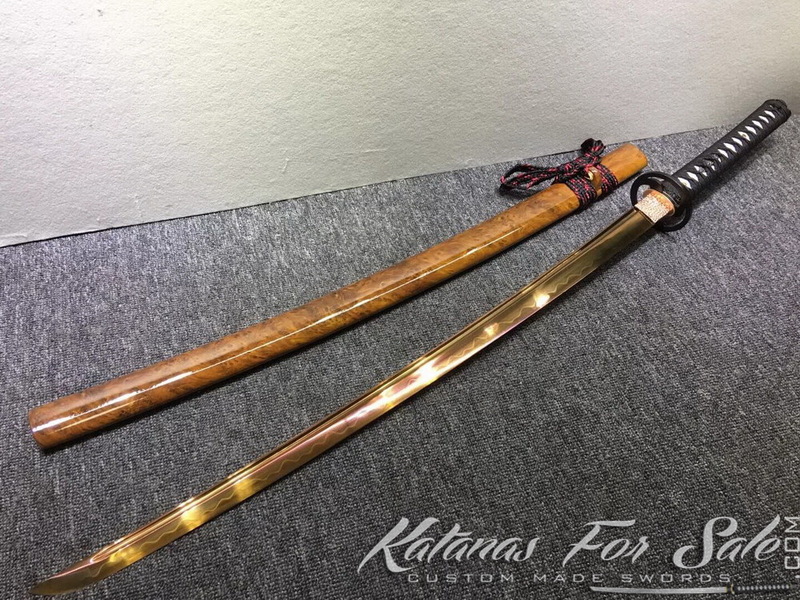 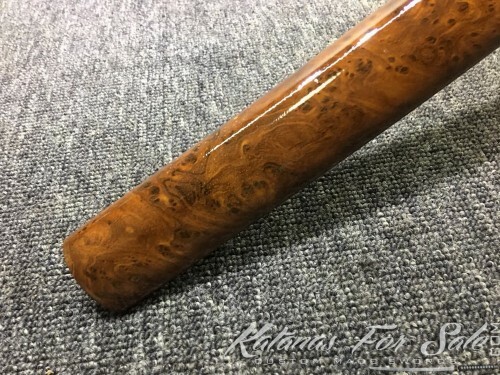 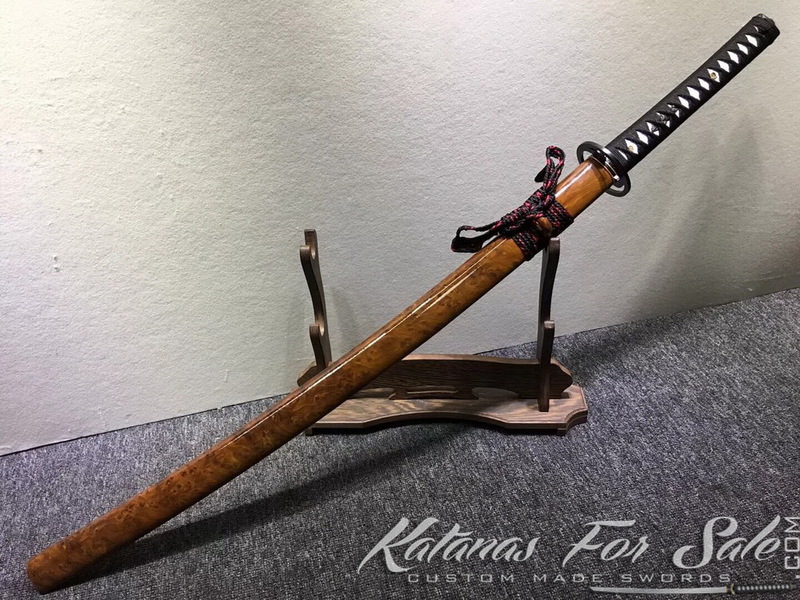 Tags: japanese katana, katana, katana for sale, katana sword, katanas for sale, samurai katana. 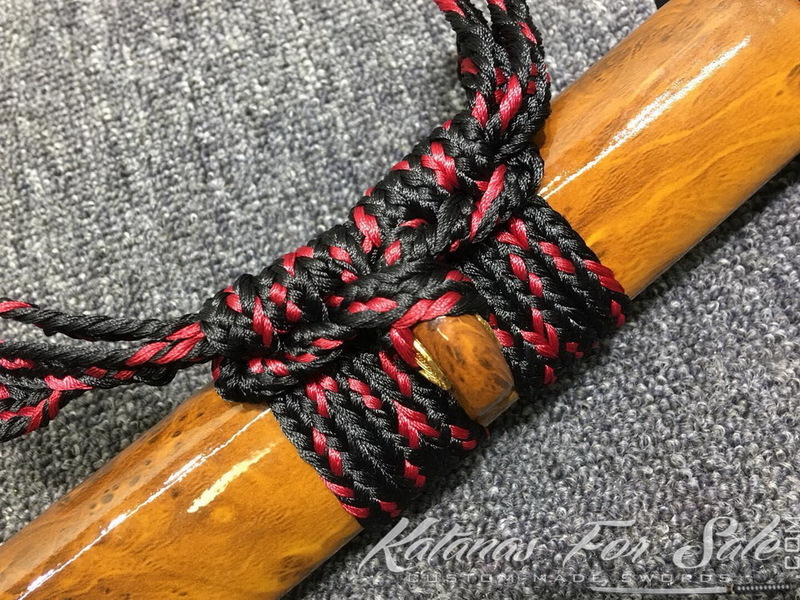 Tsuka (Handle): black silk wrap with white Samegawa. 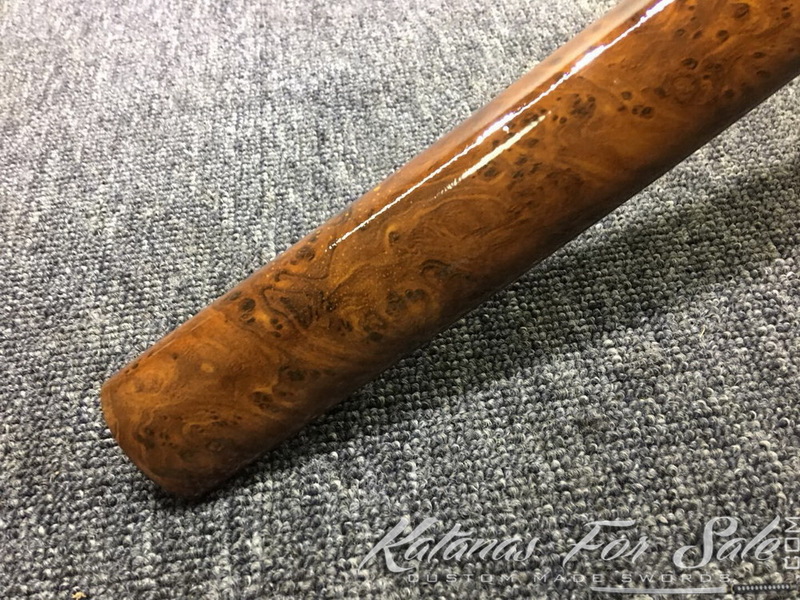 Saya (scabbard): Brown marble Saya.